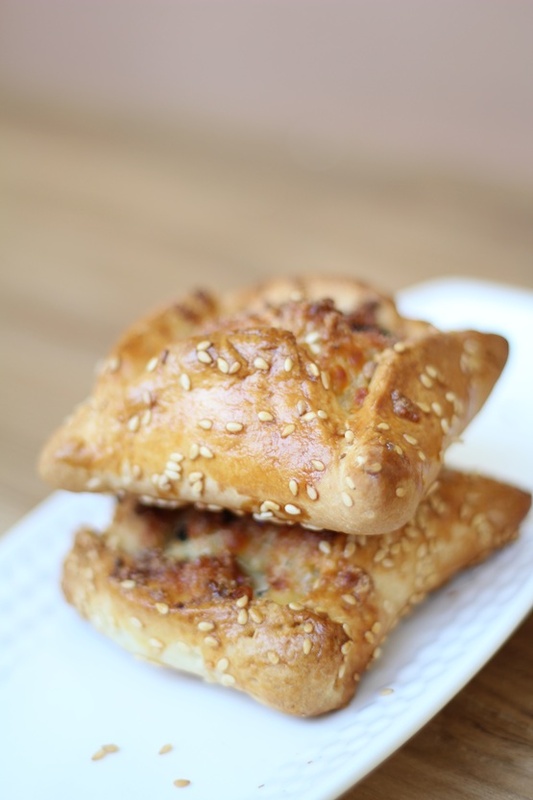 Flaounes are traditional Cypriot savory cheese pies made during Easter. It is served as a part of the fast breaking meal after Lent. These breads are filled with a mixture of cheese and eggs. The cheese that is traditionally used in these pies is called “Flaounes” cheese which is the cheese that is produced locally by Cypriot shepherds, and is very difficult to find outside the country. In this recipe, Flaounes cheese has been substituted with a combination of Cheddar cheese, Mozzarella cheese and Cottage cheese/Paneer. This pie uses flavoring ingredients like Mahleb and Mastic. (Mahleb is made by powdering the dried pits of a wild Mediterranean cherry. Mastic is the dried resin of a kind of shrub.) If you cannot find these spices, then you can either leave them out or add your own choice of flavorings since there’s no real substitute for these flavors. I did not include any spices when i made flaounes and i felt it tasted bland. You can try adding herbs like thyme, basil, chili flakes or black pepper to enhance the taste.